If you did not join us on September 15th for a presentation on Generation Z by Gen Z Gurus, David and Jonah Stillman, then you missed an interesting and provocative discussion. It turns out the next cohort to enter the workforce has a lot in common with Baby Boomers as well as Millennials – just in different areas. And don’t make the mistake of calling them Millennials – they are very different. Visit the Gen Z Guru website to learn more. Taking a look back on these past few months, I would like to highlight the EPIC conference held on campus in late August. 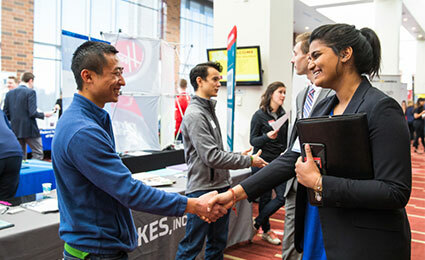 Marketing Professor Mark Bergen served as co-host along with the anthropology department for a conference that explored how the power of ethnography helps companies, industries, and communities thrive. Read more from the Star Tribune article on the EPIC forum by Lee Schaeffer. The year 2016 has been a good one for the Institute for Research in Marketing. In addition to several strong presentations by Motista, Nielsen, and Jonah and David Stillman, we have the honor of welcoming five new members to the Advisory Board. Boston Scientific, Weber Shandwick, Land O’Lakes, YA, and Marvin Windows will all bring new ideas and new perspectives to the IRM and we are pleased to have them join us! 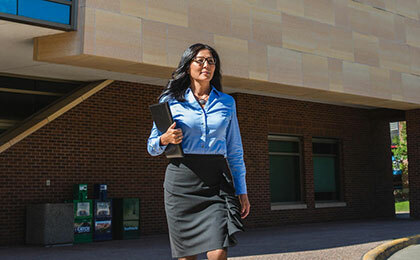 The Carlson School of Management marketing faculty continues to deliver exceptional research, which will be highlighted at the upcoming meeting, Thursday December 15th. How has digital marketing and analytics changed your approach to market research? Are you doing more or less qualitative research? Are you doing it differently? The challenge of finding the right balance between quantitative and qualitative research has not gotten any easier. However, it is different today, and both types of research have gotten much better. Different in that the amount of data that can be quickly collected, collated, coded and synthesized has grown enormously. Today we call it big data and it has profoundly impacted our lives not only as marketing professionals but as consumers. It has changed on the qualitative side as well. Our ability to quickly and easily conduct ethnographic, observational, conversational or other forms of qualitative research has been transformed. It used to be about conducting a focus group and preparing a report. Today almost everyone has a camera (in their phone), can record conversations, collect opinions and come to informed, insightful decisions. The ubiquity of recording devices means almost every shopper experience can be recorded and analyzed. Millions volunteer their opinions everyday with FB likes, thumbs up, or emojis–all important qualitative indicators for those listening and desiring to learn. And for the marketers who want to take the time, in-depth customer stories are being created and shared both internally and externally, leveraging information garnered in the process of conducting qualitative research. Have things changed, not in terms of the challenge of balance, but most definitely in almost every other respect. Digital marketing and analytics has definitely changed how we are doing marketing research. Most importantly, social and digital analytics are helping us understand the customer journey at a level of granularity that we could not measure just a few years ago. We can understand what a consumer was doing right before and right after they interacted with our brand. We know whether the consumer was satisfied with their interaction and whether they intend to engage with the brand in the future. With this information, we determine “signature moments” along the brand journey, uncover insights, and spark new engagement opportunities. We are certainly doing qualitative research differently. We are replacing focus groups by leveraging social listening data mining for topics such as category usage, brand and competitive sentiment, brand positioning, and product performance. As much as possible, our qualitative research is not the behind the mirror focus group. We are using in situ approaches that immerse the team with the consumer. Some recent examples are shopping together, preparing meals in their home, working a lunch time shift in a commercial kitchen, and spending time with farmers in their workshop shed office. Our approach to qualitative must reflect how much we value our customer; we listen more than talk, converse not interrogate, understand and value their life story, and be truly grateful for the time together. We believe if we do this, we will have a deeper transparency and discover insights that will provide value to both the consumer and our businesses. Access to digital data provides marketers the ability to more fully understand and more efficiently plan for the customer journey. Marketers have much deeper insights into consumer behavior today than ever before. As a result, marketing efforts are more informed, more targeted and more efficient. But while access to enhanced data streams has influenced what marketers do and how they do it, market research, and specifically qualitative research, still provides a critical perspective in understanding the “why” in a customer journey. Why something resonated. Why a behavior or perception changed. Why a decision was made. Why someone clicked. Those are answers not easily found in digital analytics but rather observed or heard through traditional face-to-face interaction, engagement with influencers, digital sounding boards or emerging tools. For example, we can now use simulated social channels in controlled environments to pre-test campaign content and learn firsthand what’s working, what’s not and why. We expect that our ability to rapidly glean these important consumer insights will only continue to improve and further enhance marketing research and our marketing efforts. Can Target Hit the Bull's_Eye Again? Good Question: What do we Make in the USA? Dan Peterson is Director, Corporate Marketing Insight for Land O’Lakes, Inc., the second-largest cooperative in the nation with approximately 9,500 employees and sales of nearly $15 billion. Land O’Lakes is number 218 on the Fortune 500, and does business in all 50 states and more than 60 countries. It is a leading marketer of a full line of dairy-based consumer, foodservice and food ingredient products across the United States; serves its international customers with a variety of food and animal feed ingredients; and provides farmers and ranchers with an extensive line of agricultural supplies (feed, seed, and crop protection products) and services. Dan leads the marketing insights team across the Land O’Lakes portfolio with responsibility for custom and syndicated marketing research including return of marketing spend, emerging consumer trends, new product innovation, brand health measurement and the customer journey. Prior to joining Land O’Lakes in 2008, Dan held positions with General Mills, TNS, Markettools, and Campbell-Mithun. In addition, Dan spent two years managing a non-profit organization providing educational, medical and poverty relief to the Democratic Republic of the Congo. Dan received his Bachelor’s degree in Psychology with a statistics concentration from the University of St. Thomas. It is a passion for customer insight combined with the experience to guide organizations forward based on customer, market and business intelligence that energizes Rachel professionally. Rachel currently holds the position of Director, Market Intelligence and Marketing Operations at Marvin Windows and Doors, a leading manufacturer of premium window and door products. 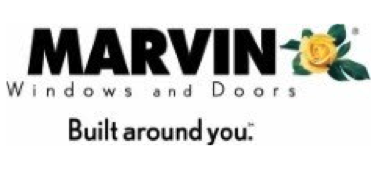 A fourth-generation family-owned and operated company, Marvin Windows and Doors is headquartered in Warroad, Minn., with a team of more than 5,000 employees in 12 facilities throughout the United States. Rachel has oversight on all primary and secondary research, including key areas such as customer experience strategy, journey mapping, customer satisfaction tracking programs, transactional research, segmentation, product concept testing, ethnographic studies, and market trend identification. Beyond research, Rachel also oversees key activities in the organization related to competitive intelligence, product demand analysis, business sales analysis, lead generation and nurturing, Salesforce strategy and digital marketing. Prior to Marvin Windows and Doors, Rachel worked at Thomson Reuters in its legal division, and has additional experience gained through past roles in a diverse range of industries including utility, education, healthcare, travel, financial and hosted email. Rachel has her undergraduate degree in Marketing and Management from the University of North Dakota and is a member of the Customer Experience Professionals Association. Rachel resides in Eagan, Minn., with her husband and two children. Chris is the Principal Architect of YA’s strategy, vision and execution. As chief evangelist for the business, he works closely with clients, partners and team members to create extraordinary omni-channel experiences that motivate consumers to engage the brand, take action and spread the word. Prior to becoming President and CEO, Chris was Chairman of the Board of Directors for Young America, LLC. Before joining YA, Chris had been working with Baird Capital Partners to develop and execute acquisition and investment strategies to build a company in the digital marketing services industry, serving as CEO and/or Board Member of the acquired business. Previously, Chris was President and CEO of SourceLink, which grew to become the 4th largest privately held marketing services company in the US. Prior to SourceLink, Chris was President and CEO of ETrac, a software services (SaaS) business. He also held various positions at GE Financial Assurance, including Senior Vice President Sales and Client Marketing. Chris began his career at OAG, a global publisher of airline and hotel information. Chris received his degree from the University of Illinois - Chicago. Chris is also very active in the industry and community. He currently serves on the Superior International Industries board of directors, the Brand Activation Association board of directors, as a curator to the Direct Marketing Association, the Minneapolis Downtown Council board of directors, the Minneapolis Club Board of Governors, and is a Board Director for Circle Urban Ministries in Chicago. When Chris isn’t leading the team at YA, he’s still pursuing his childhood dream of becoming a shortstop for the Chicago Cubs and wannabe golfer. Outside of these dreams, he enjoys gardening and traveling. Chris has been to more than 50 countries, but never to Italy – he admits, he needs to fix that… fast!